Voice-enabled advertising has become the buzz over most of the advertising and media technology space. This new technology is omnipresent at industry conferences and media trade press. Yet, as with any new emerging technology trend, the Voice-First Era is not without some detractors. There are many who will say it’s just laughable, that it’s silly to see people talking to their smart devices. Others will say they don’t trust voice recognition or have privacy concerns. AI in our smartphones is learning, and will probably kill us some day like a sci-fi film. Despite these concerns, recent studies have shown, that people really are growing more confident in using voice enabled technology. 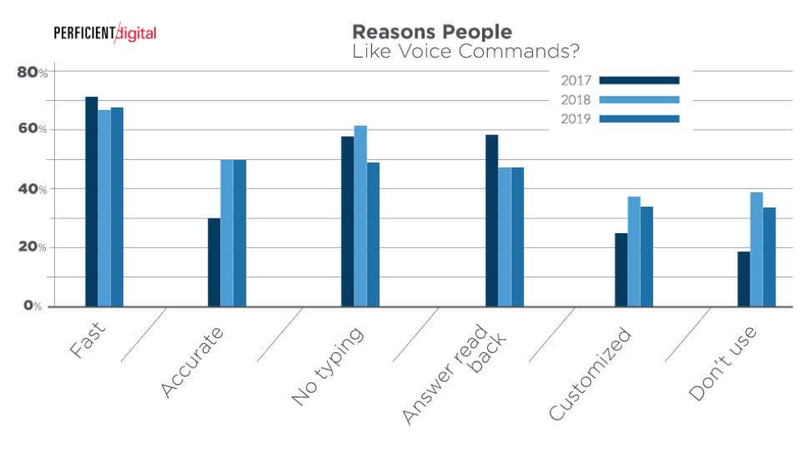 Over the last three years, StoneTemple conducted research to see when and how people are using voice enabled technology, and while the data is promising going forward, it’s also quite entertaining. 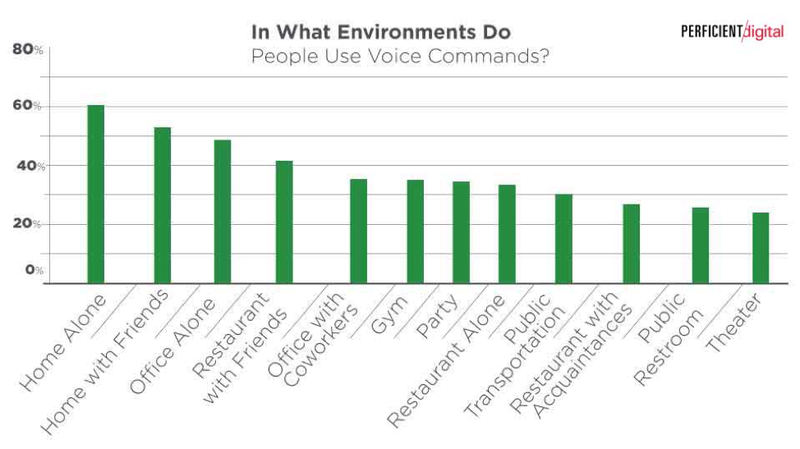 The study showed that a whopping 30% of people have used voice commands while in a public restroom, which is almost double from when the study ran in 2017. 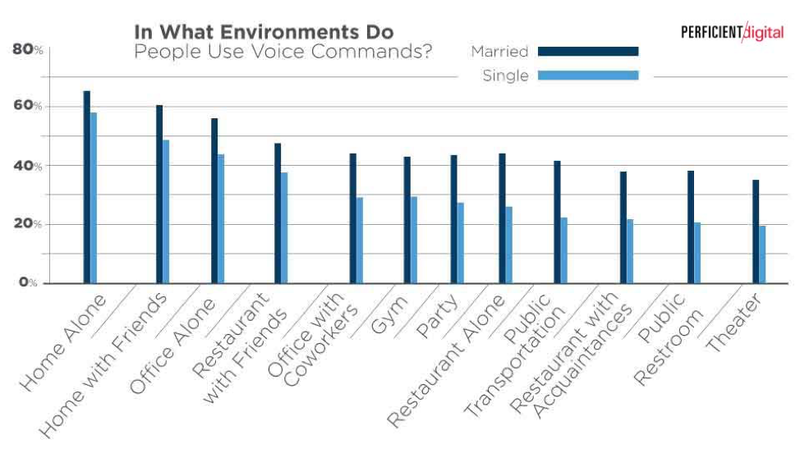 The data indicates that locations of voice command usage peak with home usage and in office or locations like restaurants, gyms, etc. This seems to indicate that usage is becoming pervasive across life activities in general — a sure sign of universal acceptance of this technology. The study also covered how people use voice commands with their smartphones, showing making calls and composing texts, lead the pack in terms of how voice commands are used. Using voice commands instead of typing has grown 20% over the last couple of years. Speed and accuracy leads for reasons that consumers like voice commands. Check out the StoneTemple report. Eric Enge’s article provides a broad view of how comfortable consumers are using voice commands. The conclusion is consistent with our view that the voice era is here and now.